A fat-soluble extract of garlic removed 100 percent of warts and almost all corns in one to two weeks in a clinical study published in the International Journal of Dermatology. A water extract of garlic removed small warts and reduced the size of larger ones, but was not as effective as garlic dissolved in chloroform and methanol. The study was conducted by Iranian researchers from Shiraz University in 2005. 33 participants with multiple warts were divided into three groups. In the first group, researchers applied a water extract of garlic to the warts twice a day. In the second group, they applied a fat-soluble extract of garlic twice a day. In the third group, patients were treated with the lipid solvent (chloroform and methanol) without garlic to eliminate the possibility that it was the solvent, rather than the garlic removing the warts. After 2 months of the garlic-water extract treatment, only small warts disappeared and larger ones were only partially improved. The chloroform/methanol control group showed no improvement. The fat-soluble garlic extract caused every single wart (on 23 patients with between two and 96 warts each) to disappear completely in less than two weeks. Seven out of nine patients with corns showed complete recovery from this treatment. Selected participants had no wart treatment for at least two months before the study and many of them had failed to respond to conventional treatments in the past. Dermatologist Farzaneh Dehghani, who led the study, noted that conventional treatments including electrocautery, cryotherapy or keratolytics are not always successful and that warts often reappear. There was no recurrence of warts in a follow-up 4 months after the garlic study. Removal of corns usually involves painful, costly surgery. “Treatment with garlic extract appears to be a more convenient modality,” Dehghani said. Anti-viral – HPV virus is the primary cause of the common wart. 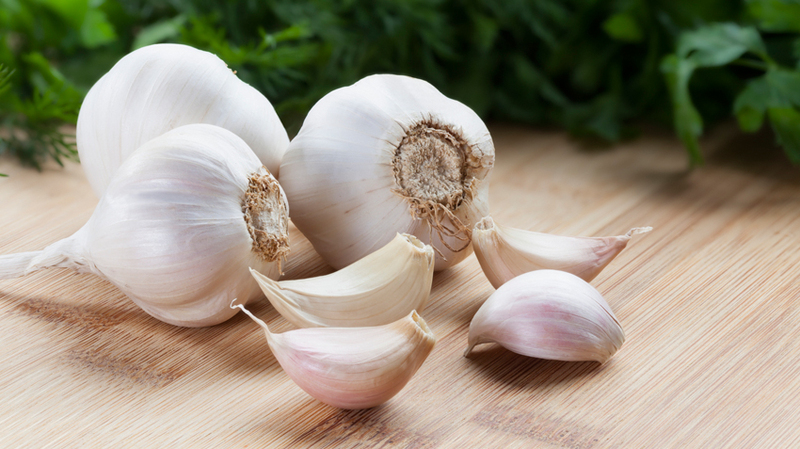 Garlic’s anti-viral properties are well established. Anti-tumor – warts are actually HPV-associated growths, not unlike benign tumors. Garlic has been found to destroy a wide range of cancer cells. You can view a list of over 160 diseases garlic has been studied to have potential therapeutic value in, including over a dozen different forms of cancer. SO how does one go about making a fat-soluble garlic extract? A google search provides many answers to that question.